Dr. Kanie Siu is Plan International’s Chief Executive Officer for the Hong Kong office. She joined Plan International in January 2015. Kanie is an expert fundraiser, marketer and administrator. She spent 10 years working in marketing and public relations across a number of commercial industries before joining Oxfam Hong Kong (OHK) in 1998, where she helped pioneer the application of those skills to the non-governmental organisation sector. She quickly rose through the ranks to become the agency’s Hong Kong Unit Director in 2011, overseeing its fundraising, communications, poverty alleviation programmes, advocacy and development education. In 2013 Kanie was named OHK’s Director of Fundraising and Communications, a role in which she became responsible for fundraising, communications and branding strategies in Hong Kong, Macau, Taiwan and mainland China. Over the years she also played a major role in marketing and product development for the agency, which operates international development programmes in China, Asia and Africa. In 2015, she was appointed CEO of Plan International Hong Kong, one of the leading international development organizations with 80 years of history that is committed to fulfilling children’s rights and ending poverty worldwide. Kanie has made significant contributions in bringing proven business administration and marketing methods to fundraising work in Hong Kong. She has also conducted fundraising trainings and sharing of development issues at universities and for various NGOs in both Hong Kong and mainland China. With her contribution to the philanthropy in both Hong Kong and Mainland China, Kanie has been awarded as one of the awardees in the Second Global Outstanding Young Leader Award organised by YaZhou Zhoukan in 2017. Mr. Weir is the Regional Senior Partner of KPMG in Hong Kong, Vice-Chairman of KPMG China and Head of Capital Markets of KPMG China and sits on the Listing Committee. 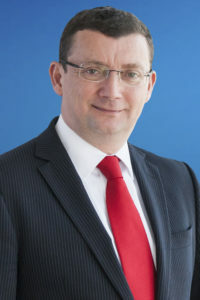 Mr. Weir is a Fellow of the Hong Kong Institute of Certified Public Accountants and previously served on its Disciplinary Panel and various Committees and is a Fellow of the Institute of Chartered Accountants in England and Wales and Deputy Chairman of its Advisory Panel in Hong Kong. He is a Fellow of the Institute of Directors. He qualified as a Chartered Accountant in London in 1990. Mr. Weir is the Global Chairman of Real Estate and Construction at KPMG and Asia Pacific Chairman of Infrastructure, Government and Healthcare which also covers the transport and real estate sectors. Mr. Weir is Chairman of Pacific Basin Economic Council, Community Business and the British Chamber of Commerce in Hong Kong. He is a member of the Financial Services Development Commission and has served on the International Business Council, Review Small Entrepreneur Research Assistance Programme of Innovation and Technology Commission of the HKSAR and the Ethics Development Advisory Committee of the ICAC. Mr. Weir has been selected as an Awardee for Directors of the Year Awards 2016, in recognition of his sustained efforts to achieve outstanding corporate governance. He was named Member of the Order of the British Empire in the British Queen’s Birthday Honours in 2017. 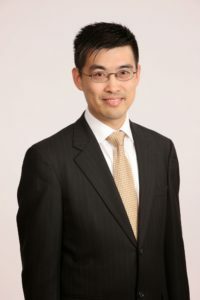 Prof. Royce Yuen is the Co-CEO of MaLogic which is a consulting group offering business solutions by integrating market research, brand strategy and big data analytics. Previously he was the Chairman of Ogilvy and the HK4As. Royce is also a Professor of Practice and has been lecturing marketing and branding at a MBA level for over 15 years across China and Hong Kong. He was the Council Member of the Trade Development Council and The Hong Kong Academy for Performing Arts and is currently a Vetting Committee Member of the SME Development and BUD fund plus an Advisory Committee Member on Arts Development. Darwin Chen’s career includes 32 years’ service in the Hong Kong Government, during which he served as Commissioner for Television and Entertainment Licensing, Deputy Secretary for Constitutional Affairs, Commissioner of Labour and Director of Buildings and Lands. He was former Chairman of the Hong Kong Arts Development Council and currently serves as President of the UNESCO Hong Kong Association. He serves on the board of many charitable organizations in Hong Kong and Mainland China as well as international non-profit bodies. He is also Senior Advisor to the School of Professional and Continuing Education and Chairman of the Centennial College Foundation of the University of Hong Kong. June Leung obtained her B.A. degree in Translation at the University of Hong Kong, and is the founder and chairperson of Beacon Group. With 25-year experience of teaching English as a foreign language, Miss Leung has authored different popular academic publications. Her devotion to raising and maintaining the standard of practitioners in the private tutorial sector at a professional level has led her to become a guest speaker in various public seminars, including the “China Education Symposium 2015 Annual Conference” organised by Harvard University. Miss Leung founded Beacon Uprising under Beacon Fund in 2012, providing additional financial assistance to students from Comprehensive Social Security Assistance and low-income families to enrol in tutorial courses. Over 10,000 students have been benefitted. In recent years, June has actively participated in charity events and encourages people around her to join the events. She is passionate about helping people in need. Ralph is one of the founders and the Group Director of CMRS Digital Solutions Limited, a digital and social media communications consulting company in Hong Kong. He also has joined various industry organizations. 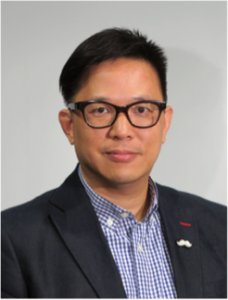 He is currently the Chairman of Hong Kong Association of Interactive Marketing and the consultant of The Boys’ and Girls’ Clubs Association of Hong Kong, Caritas Hong Kong and Radio Television Hong Kong. Besides, Ralph frequently visits local, Mainland China and overseas universities and attends media, trade and social welfare events as a guest speaker, part-time lecturer, trainer and judge. One of the partners of Gallant in Hong Kong, Mr. Lee obtained LL.B. from University of Hong Kong and LL.M. from the University of London. He has significant and extensive experience in anti-discrimination laws, privacy and data protection, and implementation of various codes of practice, providing advice to banks, listed companies, tertiary institutions and NGOs. 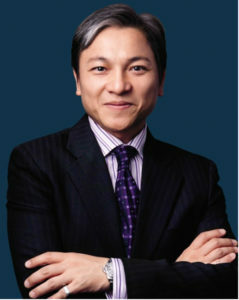 Regularly advising employers in both public and private sectors on a wide range of contentious and non-contentious employment matters, Mr. Lee also acts for employers in appeal courts, alternative dispute resolution procedures and internal investigation, disciplinary procedures and termination procedures, providing strategic advice and drafting documentation for human resources departments. 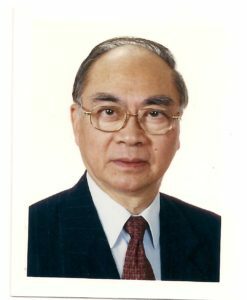 He once served on the Environmental Campaign Committee and is the Chairman of Employment Law Committee of The Law Society of Hong Kong. He is also the Vice-Chairman of The Hong Kong Children’s Choir and the Honorary Legal Advisor to a local NGO. 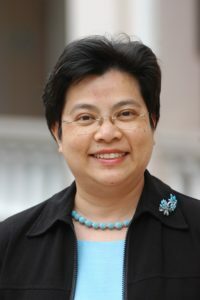 Dr. Annissa Lui Wai Ling, JP, a Registered Social Worker, graduated from the Department of Social Work of the Chinese University of Hong Kong in 1982. She then obtained a master’s degree in Divinity and a doctorate in Ministry at the Chinese University of Hong Kong and the Trinity Western University in 1990 and 2009 respectively. 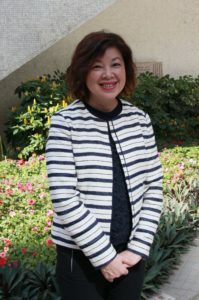 Dr. Lui joined the Hong Kong Lutheran Social Service in 1982 and has worked in youth service, community development, family service, foster care service, and substance abuse counseling since then. Currently, she is the Chief Executive of the organisation. Caring about public and social affairs, Dr. Lui is appointed to several advisory or statutory bodies such as Social Welfare Advisory Committee, Action Committee Against Narcotics, Narcotics Division and Committee on Services for Youth at Risk, Social Welfare Department. She is also a member or advisor to some NGOs. 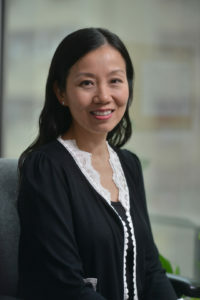 Dr. Sandra Tsang, JP, is an Associate Professor of the Department of Social Work and Social Administration of The University of Hong Kong. She is a Registered Clinical Psychologist, a Fellow of the Hong Kong Psychological Society and the Hong Kong Professional Counselling Association, and a Registered Social Worker. Her research, publications and media profile focus on parent education, children with special educational needs, children and youth development and social services development. She serves on the Commission on Children and the Nursing Council after completing her membership on the Social Welfare Advisory Committee and the Equal Opportunities Commission. She is also the Chairperson of the Hong Kong Institute of Clinical Psychologists and advisor to some NGOs.